As crops remove nutrients from the soil, cover crops help put them back through nutrient recycling. One of the easiest and most economical ways to improve soil is to plant green manures, commonly called cover crops. Most soils can be maintained at their highest level of productivity by sound soil management practices that involve a combination of soil tillage, crop rotation, and most importantly, the addition of organic matter through green manures. Organic matter is the food component of soil. Soil-dwelling fungi and bacteria work to break down organic matter. When these soil microorganisms eat organic matter, nutrients are released back into the soil in a form that is usable by plants. This process is called nutrient cycling. Nutrient cycling affects both the physical and chemical properties of the soil. The addition of organic matter builds soil structure, which increases water absorption and nutrient-holding capacity, buffers the soil pH, and improves aeration. Cover crops choke out weeds by restricting sunlight to the soil, stabilize the soil surface, and through their deep-reaching roots, help to break up hardpan and bring minerals to the surface for other plants to utilize. 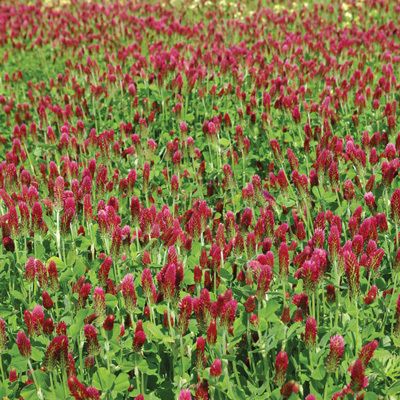 As part of a long-term rotation plan, cover crops can provide for a stable habitat within your garden for beneficial insects and microorganisms. 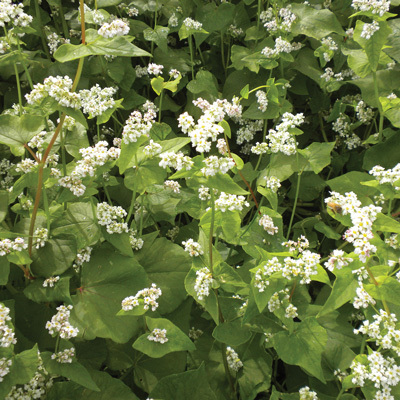 Green manures can be grown in the same year as a vegetable crop, such as a cover crop of white clover planted around a cole crop. They can also be grown as a perennial in orchards and vineyards. In mild climates (zones 6 and above), cover crops can be fall planted and tilled in the following spring just before planting. In harsher climates, cover crops can be grown in rows between the crops or as a component of rotation in your garden. Green manure crops are a superior source of organic matter when they are cut and turned under. In addition to this benefit, legume green manures (peas, beans, clovers, favas and vetch) act as a host for the bacteria that fix and make nitrogen available for your vegetable or fruit crops.